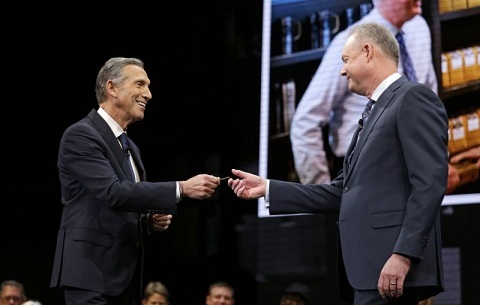 Howard Schultz Praises The New CEO of Starbucks, Says "Starbucks Best Days Are Ahead"
The new successor of Starbuck Kevin Johnson has already received praises from the former CEO Howard Schultz. In fact, Howard even claimed that the best days of Starbucks are ahead. 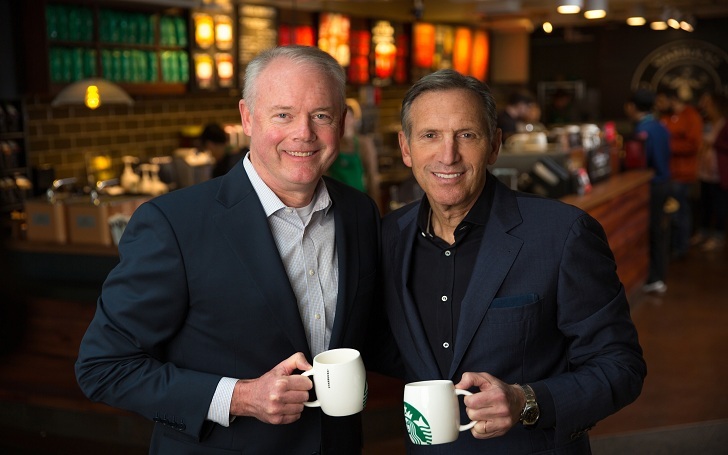 Pointing at the recent success of Starbucks, the former CEO Schultz credited Kevin for the accomplishment, saying "he (Kevin) deserves all the credit in the world." Jonshon joined Starbucks as a technology a decade back and was promoted as CEO in April 2017. Well, in a short period of time, Jonshon has done a lot, focusing on streamlining the company, customer experience, and maintaining the digital relationship with the customers, and also the beverage innovation. In fact, the stock for the company is also trading at an all-time high under his wings. He is bringing a level of innovation and transformation to the company. He's doing it his way. I have no engagement, no involvement, operationally, in the company whatsoever. That's the way it should be. Ronaldinho Denies the Rumor that He will get Married to Two Women at the same Time. Who Are They?